First of all, a big thank you to everyone who came out to the Hasting Mill Benefit in Vancouver, hosted by The Native Daughters of BC and Vancouver Supernatural. It was a great time for everyone involved. The fund are being used to help restore Vancouver's oldest building, and every dollar is appreciated. 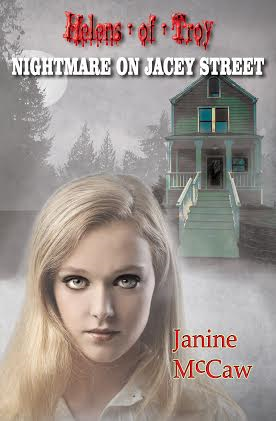 So...onto your reading for this week. 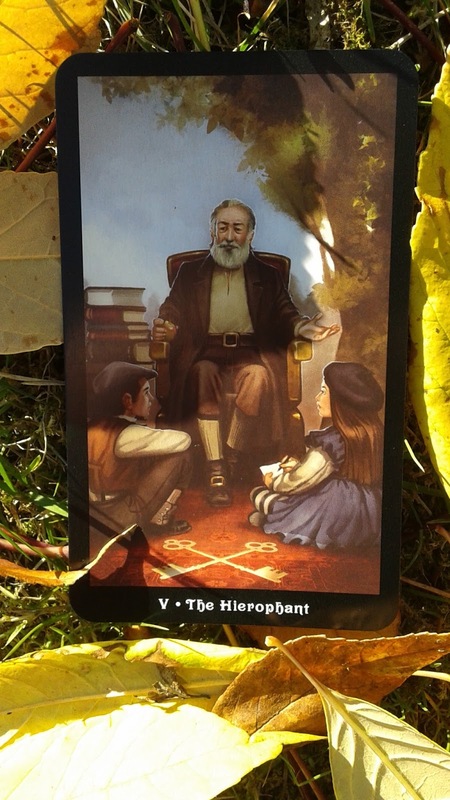 This week brings us the Hierophant, a major arcana card. This means we need to pay attention. If you look at the card, it's all about listening to someone trying to guide you. 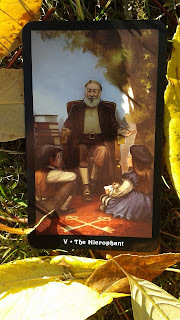 In this Steampunk deck, it is shown as children listening to an elder. The guide may even be yourself. It's all about making sure your actions follow your beliefs this week. Don't be led astray.